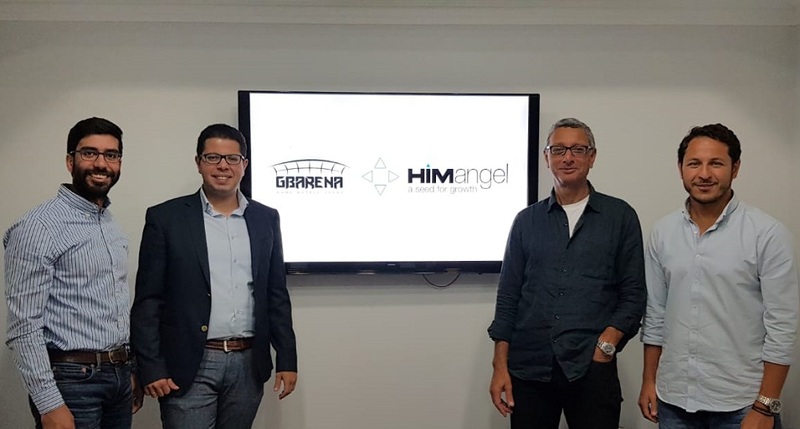 Giza-based esports and gaming community GBarena has raised seed funding from HIMangel, the startup announced today. GBarena did not disclose the exact size of investment but has told MENAbytes that it is a six-figure (US Dollar) transaction and is part of their ongoing seed round that they’re aiming to close in the next six months. Founded in 2015 by Samer Wagdy, Mustafa Zaza and Bishoy Mesdary, GBarena helps gamers find local and global challenges, enabling them to compete for titles and rewards. The startup allows users to create, publish and manage the tournaments through their web-based platform. The users once logged in can choose their favorite game titles to receive suggestions for both on-ground and online tournaments nearby. The platform handles everything starting from registration, scheduling of matches and bracket generation to match results and announcements of final winners. GBarea also makes it easy for the tournament organizers to manage the tournaments. They have the options to add moderators who can assist in tournament management and stay in touch with participants using different communication channels. Esports industry has been witnessing massive growth lately and according to some estimates is expected to exceed $1.6 billion by 2021. Epic Games, the company behind a popular game ‘Fortnite’ had allocated $100 million as prize money for different Fortnite tournaments. They recently announced to put another $100 million for 2019, which shows how big esports already is. Finals of esports tournaments attracting thousands of attendees and millions of online viewers has become a norm which has also attracted many brands in the industry who sponsor these tournaments. Samer Wagdy, the founder and CEO of GBarena, speaking to MENAbytes said that they plan to use the investment to further develop the platform, expand their team, and acquire a larger userbase. “Being gamers ourselves we witnessed first hand the growth of eSports before it became viral. It is now a huge business with a lot of challenges – the challenges that we see as opportunities. GBarena is like a virtual stadium where all the hype takes place,” said Samer. “Some tournament organizers even this age pen and paper to do registrations and schedule their tournaments and the ‘professional ones’ are using Excel sheets. We are determined to change that. We had companies approaching us to create tournaments for their brands and they were amazed with results. One client who was marketing for a new mobile device got their sales tripled,” he added.